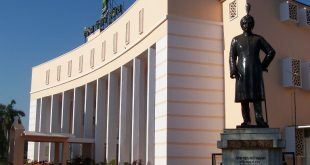 Bhubaneswar: The delay in appointment of Lokayukta issue continued to rock the Odisha Assembly for the second consecutive day as Opposition Congress members staged a sit-in near the Speaker’s podium on Tuesday. 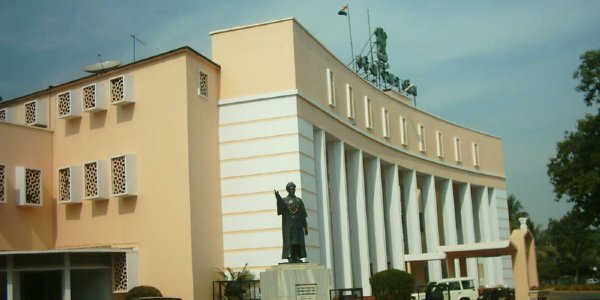 The Odisha Assembly was adjourned till 11.30 am as Congress members continued demanding a statement from the Chief Minister as to when the State Government would implement the new Lokayukta Act and appoint a Lokayukta in the State. 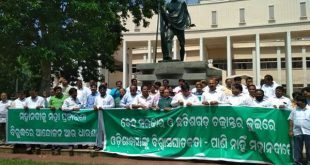 As soon as the House assembled for the day, several Congress MLAs, including Leader of Opposition Narasingha Mishra and party’s Chief Whip Tara Prasad Bahinipati, were seen staging a dharna near the podium protesting the delay in appointment of Lokayukta and implementation of Odisha Lokayukta Act in the state. Though Speaker Pradeep Kumar Amat repeatedly requested them to go back to their seats, the latter didn’t move. Unable to run, the Speaker adjourned the House at 10.32 am till 11.30 am. It may be noted that the Assembly had witnessed frequent adjournments on Monday as the Congress members had created ruckus insisting on the early appointment of the Lokayukta.